This was the first puppet show that I’ve ever brought 宝贝to. We have been catching plays and kiddy shows on and off. And I figured that this would be a refreshing change. I googled it and found pretty good reviews on it. 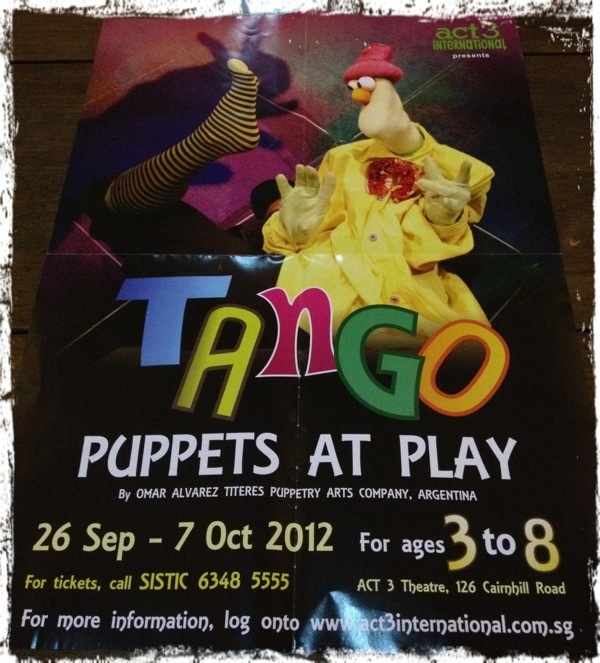 It’s a one man show by an Argentinian puppeteer, brought in by Act 3 Theatre. We had to set out pretty early as this was the first time we were going to the Act 3 theatre. I’ve heard horror stories from friends on how tough it was to find parking. Sure enough, the car park was only just large enough to house 6 cars and the nearest car park was along Anthony Road which was quite a distance away. It would have been quite disastrous if it rained. Mental note: no more shows at this venue unless hub comes along. We were dropped off and since we were early we joined the rest of the families on the wooden benches outside a small little wooden structure. I was wondering what the interior of the theatre looked like when its exterior resembled a pre war storehouse. My curiosity was finalized satisfied and yes it was a storehouse on the inside!! The little stage was filled with the props, there was sitting space right in front of it and everyone rushed to grab the the best seat nearest to the stage. I preferred to sit on the first row of chairs so that I had an elevated, unblocked view and I wasn’t too keen to jostle for space. 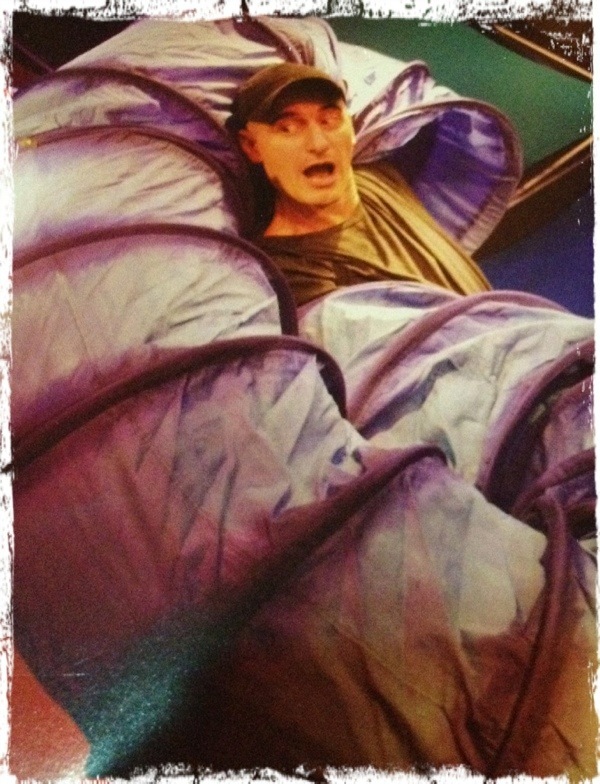 The show started with the puppeteer recounting how he became interested in the art and his journey. With a heavily accented English, he spoke in a very animated way and soon infected the whole crowd with his enthusiasm and positivity. His props were simple yet imaginative, very colorful and brought to life by his acrobatic movements and well trained actions. Every single part of his body could be used, to animate one, two or even three puppets at the same time. He made use of lights, simple every day items to produce various visual effects to wow the crowds. His shadow play was amazing. With a twitch of his fingers and parts of his body, he produced creative shadowy images that thrilled the minds with his innovation. 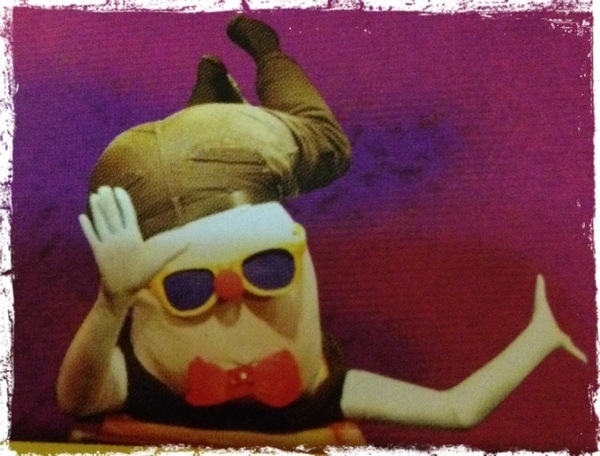 We were not allowed to take photos of the performance so I had to take photos of the brochure… Better than nothing lar! We are being exposed to all kinds of media every day. They tend to be very blatant and very “in your face”. You don’t need much imagination or creativity to absorb the imagery that is conveyed. 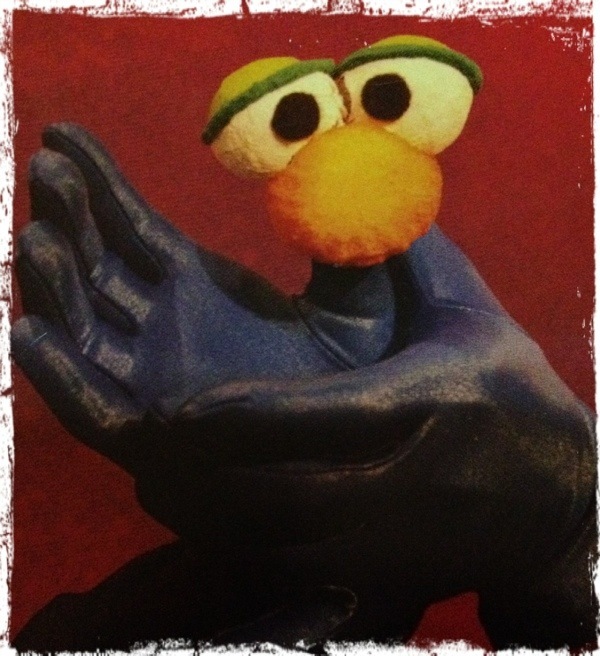 You can’t help but wow at the innovative ways that the puppeteer has used to bring his puppets to life. But what struck me as the best part of the performance was the last bit, his ending speech. Children are the best things that can happen in your lives. Now they love you unconditionally and treat you as their whole world, worship you like gods. There will come a time when they will outgrow this and move on with their own lives. You, as parents should cherish this phase of their lives because it’s very short and once it’s gone you will never get it back. This is the time when you should spend the most time with them and it will be the best part of your lives. Cherish this moment and give them all the love you have. Hug Them, Kiss Them, Shower Them with all your Love. I can’t help but wholeheartedly agree with him. 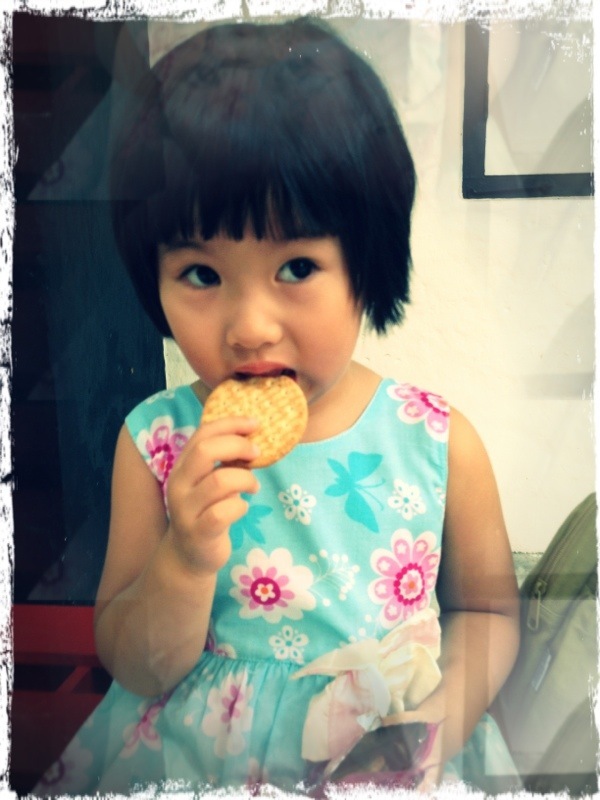 Images of 宝贝 in her baby phase and now her toddler phase, the hilarious things she did or said. Yes. I can’t turn back the clock and she’s growing up in leaps and bounds every day. She won’t be making the same cute mistakes and she’s now talking more logically. She’s still adorable in her own more mature way now. But I couldn’t help remembering how she was like just months back or even 1-2 years ago.